The Pentagon released a muscular new nuclear review on Friday, doubling down on Obama-era efforts to modernize the U.S. nuclear arsenal while launching initiatives officials say are designed to deter Russia, China, North Korea and Iran from going nuclear.“We must look reality in the eye and see the world as it is, not as we wish it to be,” Defense Secretary James Mattis said in an introduction to the document. The plan, which places Russia at the top of the country’s potential adversaries — mentioning the country 127 times in the 74-page paper, while North Korea received 49 mentions — also calls for new nuclear cruise missiles. In the short term, the strategy unveiled plans for a new nuclear sea-launched cruise missile, and a lower-yield nuclear warhead for submarine-launched ballistic missiles. 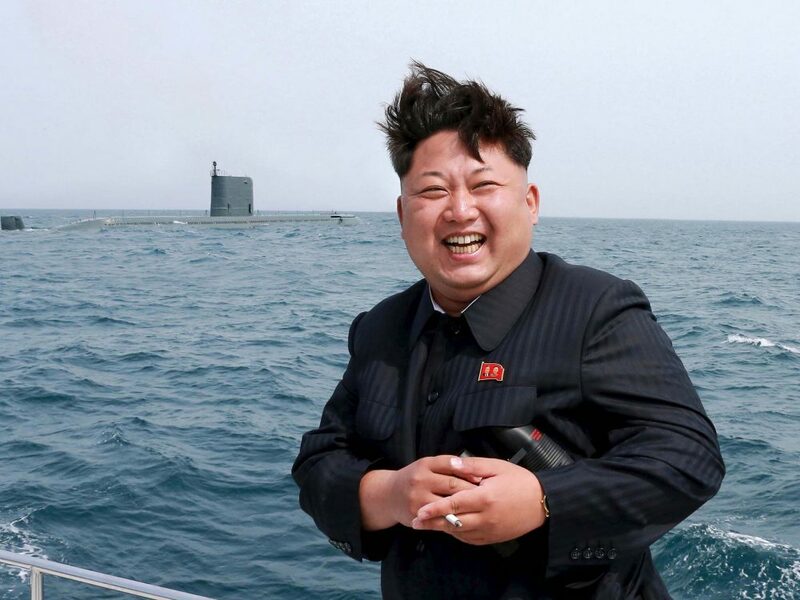 Officials said the new submarine-launched ballistic missiles could be procured relatively quickly by using existing warheads and turning them into low-yield weapons, which would also help keep costs down. For the Navy, this would mean they could “just take that warhead and make sure they can qualify” on a submarine Robert Soofer, deputy assistant secretary of defense for nuclear and missile defense policy, told reporters. The document also confirms that initial research has begun on a ground-launched intermediate missile system that if fielded, would violate the 30-year-old Intermediate-Range Nuclear Forces (INF) treaty with Russia. The research remains within the bounds of the treaty, Pentagon officials said, and is meant to counter years of Russian violations of the pact which prohibits missiles with ranges between 500 and 5,500 km. “We need to demonstrate to the Russians that we’re serious about them coming back into compliance with INF and that perhaps they need to be reminded why they signed the INF treaty in the first place,” Greg Weaver, the Joint Staff’s deputy director of strategic capabilities told reporters. A draft of the new Pentagon strategy was leaked to the Huffington Post earlier this month, causing an outcry from critics who said the new cruise and ballistic missiles lower the threshold for how and when the United States might use nuclear weapons in the future. Speaking with reporters at the Pentagon on Friday, John Rood, the Pentagon’s new policy chief, pushed back, insisting that policymakers would consider using nuclear weapons “only in extreme circumstances to defend vital American interests,” which he said is exactly the sentiments expressed in the 2010 Obama nuclear strategy. “There is no lowering of the nuclear threshold…there is nothing in this approach that would lower the nuclear threshold,” Rood said. The plan received a mixed reception on Capitol Hill, where House Armed Services Committee member Adam Smith (D-Wash.) criticized the document, saying it “will undermine our defense posture, and further aggravate our national security budgeting difficulties.” The Trump administration has fully embraced an Obama-era plan to modernize the country’s nuclear triad — land, air and sea-launched nuclear missiles — which is expected to cost at least $1.2 trillion over the next three decades, before the Trump add-ons. Smith was also critical of the price tag, saying Congress “is currently unable to fund the existing, unrealistic $1.2 trillion plan” and the Trump administration is adding to the budget pressures by adding new capabilities.